Like 2016, the Fifth Annual "Best Bike Parks Riders' Choice Awards," saw several changes in rankings among North America's favorite lift-served parks. ​What was the common thread among the winners? A truly successful bike park makes you feel welcome, whether on the lift, in the base area, or even in the parking lot. These resorts serve as hubs for mountain biking social centers, creating micro riding communities so to speak. ​If you have felt this vibe while sipping a cold beer on the deck of the GLC, watching riders hit the final A-Line drop at Whistler, or huddling around a camp stove and cooler in the parking lot of New Mexico's Angel Fire Bike Park, you know what we're talking about. 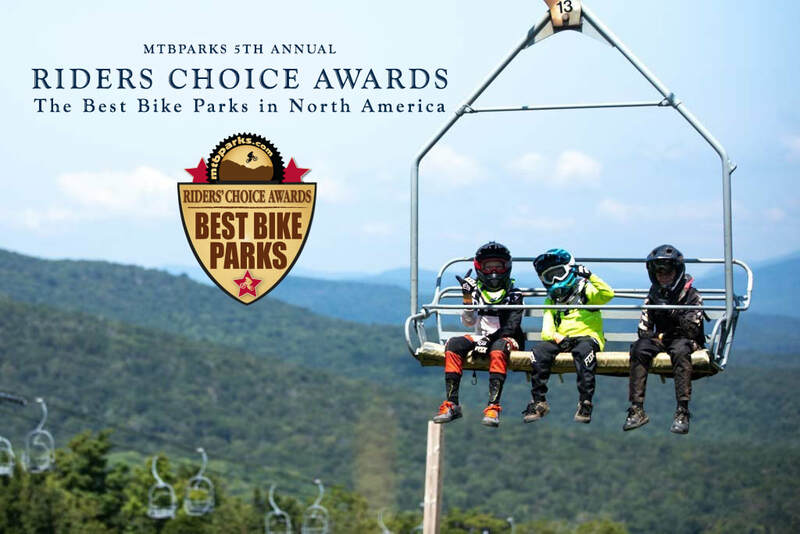 Now in its third year, the MTBparks.com Riders’ Choice Awards survey carries with it an undeniable momentum, and for us, has become an official start to the summer riding season. This year, with increased participation and some surprising rankings, we found ourselves watching the top spots change constantly in the 11th hour as the final flood of votes poured in; it’s become our Super Bowl. This year, while many resorts fiercely defended their rankings, other resorts worked hard to put themselves on the map and stepped up a notch or two. As we compiled the results of this year’s survey and worked with bike parks across North America to gather information about what made them great, a larger picture began to come into focus. For MTBparks.com, it indicated a serious need for a rider-driven fact-finding mission. In August, during Crankworx, we began the task of asking riders to share their opinions in an online survey. Where do you ride? What is your favorite resort? What makes each place so great? ​VOTING FOR THE SIXTH ANNUAL BEST BIKE PARK AWARDS BEGINS SOON! Sign up below to find out when the next Best Bike Parks Survey goes live. Let me know when I can vote!